Reverse Mortgage: Yes or No? A reverse mortgage is a type of Home equity loan for a senior homeowner, who is at least 62 years old. It is also called a home equity conversion mortgage (HECM). The loan is repaid when the last surviving borrower moves out of the property, passes away, or the house is sold. You need to ask yourself: do you want to stay in the house – can you afford to pay taxes, insurance, any HOA/Condo fees, and repairs – do you want to use the equity in your home for supplementing the social security payments or pay off debts or health bills –and is this your primary residence? If your answers are yes, you can consider a reverse mortgage. There is no income or credit requirement – a big difference to a conventional equity loan! And there are no future mortgage payments! The money you receive can be used as cash to supplement your income, pay for health care expenses, pay off debt, finance home improvement, or to re-invest. Moneys from a reverse mortgage are not considered income and are not taxable. (Consult a tax advisor for more information). You personally can never owe more than the value of your home with a reverse mortgage and if the balance is less, your heirs can sell the house and keep the difference. The bank cannot ask you to pay more than 95% of the value of the house, even if the mortgage balance is way higher. My friend owned her house without a mortgage, she was 66 years old and she had no heirs. This was a perfect base for a reverse mortgage. She took out a lump sum and 10 years later she owed way more than the house was worth. When she died the house was worth $190,000 and she owed $245,000, because every month the interest is added to the loan amount. The bank sued all her beneficiaries for the full $245,000! I told them not to do anything, and after we sold the house in a short sale the bank released everybody from liability. Since the estate is not personally liable if the home sells for less than the balance of the reverse mortgage, there were no grounds of going after the beneficiaries! If the sale of the home is not enough to pay off the reverse mortgage, the lender must take a loss and request reimbursement from the FHA (Federal Housing Administration) insurance. No other assets are affected by a reverse mortgage. For example, investments, second homes, cars, and other valuable possessions cannot be taken from the estate to pay off the reverse mortgage. The amount you can borrow is determined by an FHA formula that considers age, the current interest rate, and the appraised value of the home. You must own the house outright or have substantial equity in your home. It is very simple: the older you are, the more valuable the house is, and the lower your current mortgage is, the more money you can get with the reverse mortgage. The mortgage fees and closing costs, including the mortgage insurance can be high, you must maintain the house, pay property taxes, homeowner insurance and condo/HOA fees. It can complicate your wish to keep the house in the family. Again the mortgage comes due when you move out (senior facility) or die. A reverse mortgage wouldn't be the best option if you can't maintain the costs associated with the home, even without a monthly mortgage payment. Spending the equity in your home, of course, also diminishes the value of your estate -- leaving you less to pass along to your heirs down the road. If you have a younger spouse who is not a co borrower (maybe you removed the spouse to get a higher amount of the reverse mortgage) the surviving spouse may have to move out of the house, you might need to consult an attorney. You should let your children know when you get a reverse mortgage, they need to be aware if you have to move into a retirement home, the reverse mortgage becomes due and the house cannot be rented! Because the requirements are so complex the government requires Homeowners interested in taking out a reverse mortgage to receive mandatory (free) counseling by an independent third party. These organizations have to be approved by HUD (Housing and Urban Development) and help homeowners review alternative options. My advice is to have your children attend the counseling session or a good friend. If you decide to proceed with the loan, you can expect to pay higher-than-average closing costs based on the value of your home, including origination fees, upfront mortgage insurance and appraisal fees. The interest rate you pay is also generally higher than that for a traditional mortgage. You are also required to pay an initial Mortgage Insurance Premium (MIP), as well as an annual MIP of 1.25 percent. The origination fee is what the reverse mortgage lender earns on the loan, but it is determined by FHA what the lender can charge (for example: 2 % for the first $200000 of the property value). These expenses can be rolled into the loan! You can also use this reverse mortgage program to purchase a property and never have a mortgage payment, but you need cash for the difference between the reverse mortgage amount and the sales price of the property. It all depends on your situation whether a reverse mortgage is a good fit for you! Posted in:Real Estate and tagged: Yes or No? The ideal size of the group is anywhere between 4 and 6 members, if your meetings are 60-90 minutes long, because everybody should get enough time to talk. It is not a networking group, this group helps each other and your mastermind group members will achieve success. It is not about a facilitator coaching each member- it is about sharing with each other and empowering each other. Everyone in the mastermind is unique in skill, experience and connections. They are interacting and sharing any challenges. The agenda is decided by the group. At the end of each meeting the topic for the following meeting is discussed. They challenge each other to set goals and share the accomplishment. The group helps you making wise decisions. In my group we were discussing CRM systems. Each one of us was searching the internet and exploring the possibilities and then reported why they liked one over the other at your next meeting. Yes, you could google this yourself – but the brainstorming, interaction, discussion and creative thinking would not be available. The biggest value of a mastermind group is that in an instance you have multiple minds using their brainpower to help solve your particular and individualized business problems. It's very much peer-to-peer mentoring and if you are lucky enough to get invited to one, you will most likely see a marked change in yourself and your business. Whether you are invited to an existing mastermind group to join, or start a new group, you’ll love what this group process can help you accomplish! Share one thing that iscurrently working really wellin your business activities. Share oneresource, such as a blog, podcast, service, product that youbelieve the others in the group would appreciate knowing about. I have been a member of a mastermind group for about 3 1/2 years, and it has shaped my life and my business, besides becoming close friends. We can discuss openly our concerns, successes, frustrations – without being critiqued. Joanne Fraser and Jeff Dowler, California and Silvia Dukes and myself from Florida. We have created a real estate agent marketing Think Tank. We get together once a month via a conference call and when possible in person at real estate events we all attend. Silvia Dukes is our newest member, she says: ”as one of the newer members of the mastermind group, I appreciate the different perspectives every member brings to the group and the topics we discuss. I find it beneficial to know how things are done differently across the country and maybe even apply that knowledge to my own real estate practice. Jeff Dowler says: Participating in a Mastermind with other top-producing agents from other parts of the country over the last 3 1/2 years has been tremendously rewarding, personally and business-wise. It's been an excellent learning experience to find out what others are doing as far as marketing, lead generation, pricing, and multiple other business topics, and to try new strategies that are working in our respective markets which are quite diverse. Our Mastermind has blossomed into a very personal forum where we can all share our concerns, frustrations, questions, and ideas to obtain feedback and input from others in a positive, supportive way, without fear of criticism. Not only do we learn new things, but we learn about ourselves and our personal styles that contribute to our successes and help us improve the real estate industry. Lastly, we have become very good friends who are there to help each other out, whenever needed. What is a HUD REO Home and how can I buy one? A HUD home is a one-to-four unit single - family residence acquired as a result of a foreclosure on an FHA-insured mortgage. An FHA loan is a mortgage insured by the Federal Housing Administration, a government agency within the U.S. Department of Housing and Urban Development. (HUD). Borrowers with FHA loans pay for mortgage insurance, which protects the lender from a loss, if the borrower defaults on the loan. If the borrower foreclosures on the mortgage, the house goes back to HUD. HUD has hired a management company to make sure the houses are in safe condition, an asset management contractor overseeing the listing and selling process (Sage Acquisition) and also selected Brokers, who are able to list and sell these homes. These Brokers are specially trained and under strict supervision of HUD. This program is for properties located in a designated revitalization area and offers discounts to Firefighters, EMT’s, Police, and Teachers. If qualified, they receive a 50% off the list price with only $100 down payment. There are some requirements: the buyer or spouse may not have owned title to a property in the last 12 months, nor can either of them have ever purchased a property with this program before. They have to occupy the property for 36 months! (To oversee the 36 month requirement HUD is securing a second trust for the 50% reduced sales price interest free, which will be released after the 36 months period). If a property qualifies for either the GNND or for a Government Agencies, the properties are offered to these groups prior of becoming available on the open market for 6 days. Do you need an agent to buy a HUD home? YES! The Broker of an office needs to be registered with HUD for him/her or his/her agents to help buyers purchase a HUD home. The process is a bidding process via online electronic bidding, and the highest bidder will be awarded the contract. As HUD is promoting Home Ownership home owners receive priority for a given time before investors can bid! Many questions will remain: Can I have an inspection? Can I select the closing agency? Do I have to be pre-qualified? All answers are YES! If you have further questions, please contact me at 561-929-5799. You may find real estate professionals’ various titles a little confusing. There are some important differences between the roles of the various professionals, as well as different requirements for using particular titles. Real Estate Agent or Real Estate Salesperson: Anyone who earns a real estate license, whether that license is as a sales professional, an associate broker or a broker. Florida Statute regulates the education necessary to become a licensed real estate agent: 63 hours of class work – with completed test - and a successfully completed State test. The annual continuing education requirements are the same for agents and brokers: 14 hours every 2 years in addition to an ethics training. But in order to start selling real estate, you have to find a broker to “hang your license” and pass a 45-hour post-licensing course within a certain time period. Real Estate Broker: A person who has taken education beyond the agent level as required by state laws and has passed a broker’s license exam. Brokers can then open a company and work for themselves or with other agents. The broker needs 72 classroom hours and a minimum of 2 years experience as a real estate agent and 60 hours post licensing class. If you have hired a real estate agent to help you buy or sell a home, that agent typically reports to a broker. The broker owns the listings and handles the earnest money deposit. The REALTOR® has to pay part of the commission to the broker – most of the time. Real Estate Associate Broker: Someone who has taken additional education classes and earned a broker’s license but chooses to work under the management of another broker. REALTOR®: A real estate agent who is a member of the National Association of REALTORS®, which means that he or she must uphold the standards of the association and its code of ethics. The Code of Ethics establishes obligations that may be higher than those mandated by the law, and a REALTOR® agrees to obey the rules. So when deciding to work with a REALTOR®, you should ask what education they had after the original license. There are many certifications and designations they can achieve like CIPS (Certified International Property Specialist), CRS (Certified Residential Specialist), GRI (Graduate of Real Estate Institute). They all require more than one daily class and all require final exams. REALTORS® are also getting involved in fighting for consumer rights. The REALTORS® Political Action Committee (RPAC) gives REALTORS® a powerful voice to help develop, advance and implement legislative objectives that affect the real estate business and the ownership and operation of real estate. RPAC supports pro-REALTOR® candidates running for public office. It does not matter if the candidate is part of the Republican or Democratic Party as long as they are supporting ideas of the REALTOR® Party. swapping out the old for a better new loan! Nothing is for free: so there is a cost for refinancing and it can take a couple months before you have paid off the cost with the savings. · The bank will charge a fee for processing the refinance and credit report. · You have to get a new title insurance, and if you have followed my articles, I mentioned that you can save money at time of refinancing if you have a title insurance in place. · The attorney for the bank or a title company also charges a fee for the closing. · There are also some costs which are partially refunded, like insurance and taxes. · And you need a new appraisal. The first question you have to ask yourself: “how long am I staying in the house”? If the answer is less than two years: then refinancing is not a benefit. If you have been able to increase your credit score substantially since applying for the original mortgage, you will have a benefit of getting an even better interest rate, and it can lower your monthly payment even more. If the value of your house has gone up and you need to pay off some high interest credit cards – you can get “cash –out” refinance. 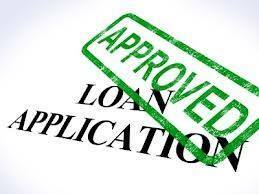 The new loan will be higher than the old loan and you will get cash to pay off higher interest debt. go for it. The government also offered a HARP program which helps you lower your interested rate without cost. The end date to get a HARP refinance is September 30, 2017. If you need more information go to www. Harp.gov The loan limit is $300,000 and if you qualify: go for it. periodically) and you can refinance into a fixed rate mortgage (which means the interest stays the same for the rest of the term) this is a good reason to refinance and an advantage most of the time. Also if you have a FHA loan, which requires a mortgage insurance for the life of the loan – you are not only getting the lower interest rate but also get rid of the insurance premium each month. Your principle and interest payments would be $1199 per month and the loan would be paid off in 2032. You decide to refinance the remaining $150,000 with a 4% interest loan without mortgage insurance. The new principle interest would be $716 – but your loan would not be paid off until 2047. The difference of $483 every month has to pay off the cost of refinancing first being $4000-5000 – so after the first year you would safe this amount every month – but you are paying the loan off 15 years later. That translates that you would pay $215,830 during the next 15 years for the original loan and $257,760 for the refinanced loan over the next 30 years. But if you are considering selling the property in five- six years: Refinancing is the answer! If you want the refinance for a 15 year loan to keep the payoff in 2032, your monthly payments would be $1109 – the $90 saving would take you 4 years to recover the closing expenses and the monthly savings are minimal. Posted in:Real Estate and tagged: Shuld you refinance our loan? Does the mortgage rate matter? Mortgage rates changed in the last quarter of 2016, with the 30-year fixed ending the year at 4.32%. It rose more than three-quarters of a percentage point in the final three months of the year, but then came down a little this year. Mortgage rates are still low so now is a good time to lock in rates. The market was good, people were buying homes. You look for a home when you want to, and then you buy what you can afford, right? When you start a family and you want to buy a home, the interest rate might force you to buy a smaller house than you would like or to buy in the suburbs rather than in the City, but you are buying a home. Buying is a personal decision and you should buy when you are financially ready to buy. Rising rates aren't necessarily a deal breaker. The National Association of Realtors® calculated that a rise from 4.2% to 5% would increase average monthly mortgage payments by $90. And really, those higher rates are still historically low. What is it? Do I need to pay for it? Wikipedia’s definition is: “Title insurance is a form of indemnity insurance, which insures against financial loss from defects in title to real property and from the invalidity or unenforceability of mortgage loans”. So, why do you need this title insurance, which is a onetime cost at the time of closing and based on the value of the property? Closing, refers to the event where the property is being transferred from seller to buyer, which is also called “escrow” or “settlement” in some States. My investor client closed on a property in Maryland on a Tuesday after having walk through at the property. The property needed work and my client went back to the property on Thursday with his construction company to start working. When they arrived, what a surprise: the house was wrapped like an Easter Egg with crime scene yellow tape and a sign: ”do not enter by court order – do not trespass” My client called me and we found out that the court had attached the house to a law suit for punitive damages. Apparently the dog of the former owner had bitten a person, who sued him in court for damages. The judge attached the house to the law suit for punitive damages on Wednesday! The importance of having a title insurance was imminent. My client hired an attorney who notified the court of the closing, which luckily happened prior of the judge’s order. The damages for my client were small, mainly attorney fees – but paid by his title insurance. If you finance the purchase of the property with a mortgage from a lender or refinance your loan, you have to obtain a title insurance to protect the lender. You do not have a choice. In some areas (like Palm Beach County) it is customary that the seller pays for the lender’s title insurance premium. But to insure yourself - the buyer, this insurance is optional. Owner’s title insurance is complex and you should read the policy to understand any exclusions. Ask the title agent to explain the coverage to you. How much is the title insurance? In the State of Florida the insurance and indorsement rates are promulgated by the Florida Insurance Commissioner. To give you an example: For a sale of property valued with $200,000 the insurance premium is: $1,075 (indorsement fees may be added). Since you are required to pay for the lenders policy, you can ask for a simultaneous issue rate, which will make your owner’s policy relatively inexpensive. In the above example the additional fee would be $25. Also if the owner has a policy which was issued less than three years prior, you can request a re-issue rate – which is a reduced premium for up to 40%. If you are paying cash the owner’s policy would be the full amount of $1,075. The insurance covers you as long as you (or your heirs) own the property. Having a Title Insurance gives you the peace in mind as we live in a litigious society. Posted in:General and tagged: Do y need title insurance? For some people, buying their home makes the most sense, and for others, renting is best. The decision to own versus rent is very much a lifestyle decision as it is an economic decision and is among the biggest financial decisions that many adults make. Determining how much money you can dedicate to the purchase is an important aspect of buying your new home. Can you qualify to buy? How long are thinking of staying in the house? What is the economic outlook for appreciation? Are you looking in an area where the rents are high? To determine whether to buy you first h to find out whether you can afford to buy! You also need to consider other factors, including the time you'll stay in your new home, the home's prospects for appreciation and the taxes, insurance and condo/HOA fees. Buying a home is costing money (closing cost). If you believe you're going to be in a house less than three years, most experts suggest it's safer to stick with renting, unless you could afford to keep the house as an investment, as it takes about 2- 3 years to recover the cost of buying home. You want to become certain about a specific neighborhood, renting allows you time to find it. This is a job transfer and you are not sure about this job, renting gives you more flexibility. If you need to improve your credit score for a favorable interest rate, timely rent payments will help you. Today’s interest rates on a mortgage is based on your credit score! Financially tight? You would have no money left after buying? If major repairs are necessary, you don't need to spend money: you just call the landlord! The original investment is much lower! If you are paying rent, you are paying your landlord's mortgage or adding equity to his or her bank account. When you own, you increase your degree of ownership in your home with every mortgage payment. You can deduct mortgage interest as well as your property taxes from your income tax. You also have a benefit when you sell the house with a gain – under certain circumstances: you do not owe any capital gains taxes (at this time) – so you get tax free money! You can make improvements to your house – without asking the anybody. If you pay – you stay: nobody can ask you to move! Your mortgage is paid off: now it is your house. If you would like to see what is good for you: Realtor.com, Zillow.com, besides other websites offer calculators where you can find out for yourself, based on your personal information. An FHA loan is a mortgage insured by the Federal Housing Administration, a government agency within the U.S. Department of Housing and Urban Development. (HUD) Borrowers with FHA loans pay for mortgage insurance, which protects the lender from a loss, if the borrower defaults on the loan. If the borrower foreclosures on the mortgage, the house goes back to HUD. This program is for properties located in a designated revitalization area and offers discounts to Firefighters, EMT’s, Police, and Teachers. If qualified, they receive a 50% off the list price with only $100 down payment. There are some has some requirements: the buyer or spouse may not have owned title to a property in the last 12 months, nor can either of them have ever purchased a property with this program before. They have to occupy the property for 36 months! (To oversee the 36 month requirement HUD is securing a second trust interest free, which will be released after the 36 months period). As HUD is promoting Home Ownership home owners receive priority for a given amount of time before investors can bid! Many questions will remain: Can I have an inspection ? Can I select the closing agency? Do I have to be pre qualified ? The answers are YES! If you have further questions, please contact me at 561-929-5799. What is a Title Insurance and why do I need one? Title insurance is a form of indemnity insurance mostly found in the United States, which insures against financial loss from defects in title. They guarantee a clear chain of title, which means the person who is selling the property has the legal right to do so. Title insurance is about protection; protecting your home, your family, and yourself. The insurance will defend your title – no cost to you – will correct the title if possible and/or pay you for the loss, if the title cannot be cleared. How much does it cost: The State of Florida has set the fee for the title insurance and is based on the value of the property. You also may qualify for a reissue rate, if the prior owner has owned the property for less than 10 years and had purchased a title insurance. The title insurance premium is only paid once (at closing)! The title insurance insures against losses caused by title problems that have their source in past events. It protects against the following causes of loss, none of which is disclosed by the most carefully prepared title search: Forgery, fraud, false affidavit, infancy, insanity or incompetency, bankruptcies in other jurisdictions, false impersonations, undisclosed or missing heirs, after-born or adopted children, perjury or claims arising by reason of foreign divorces, to name a few. Most title insurances are underwritten in the United States. In many countries in Europe there is no title insurance needed, as the legal description in the court records are guaranteed. There are two forms of insurance: lenders insurance and owners insurance. While the owners insurance is voluntary – but I highly recommend to get one – the lender insurance is required, if you finance the house with a mortgage. If you refinance the loan, you have pay for a new lenders policy – as the insurance is only good or the life of the loan – but you do not need to purchase another owners policy, which is in effect as long as you or your heirs are the owners of the property. I have experience a situation I like to share: I closed a property for an investor and when he went to the property three days after closing the property was yellow taped: “do not enter by court order”. We found out that this property was attached to a law suit against the prior owner for punitive damages. We were lucky that the property was legally recorded hours prior to the judge attaching this property for collateral. We did not need to use the title insurance, but we were relieved that we would have been protected by our owner’s policy! How can I live, work, and retire in the US? New Regulations staring in August of 2015!